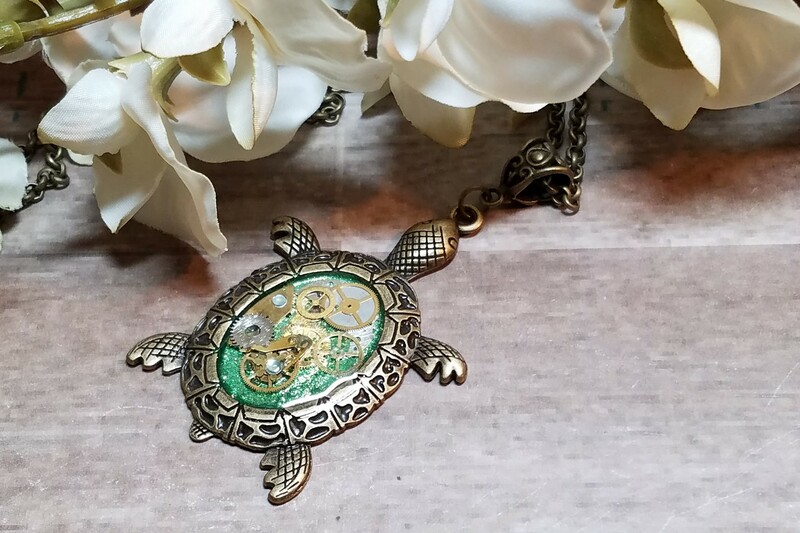 Add this gorgeous Green Steampunk Turtle pendant to your beach themed wedding for the perfect finishing touch! 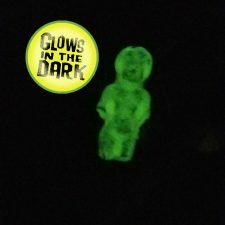 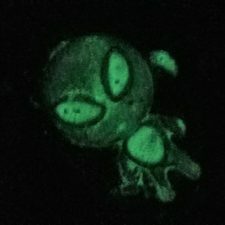 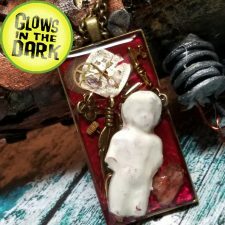 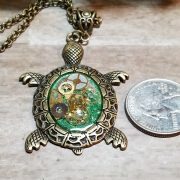 All of my items are one of a kind, unique pieces of wearable art. 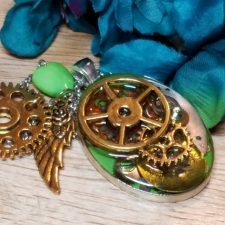 No two creations are ever quite the same. 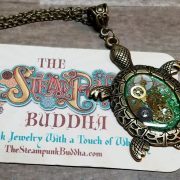 You aren’t just buying jewelry, but a piece of original art. 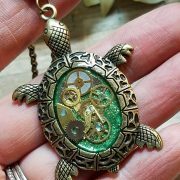 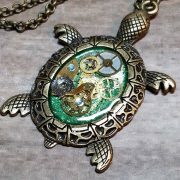 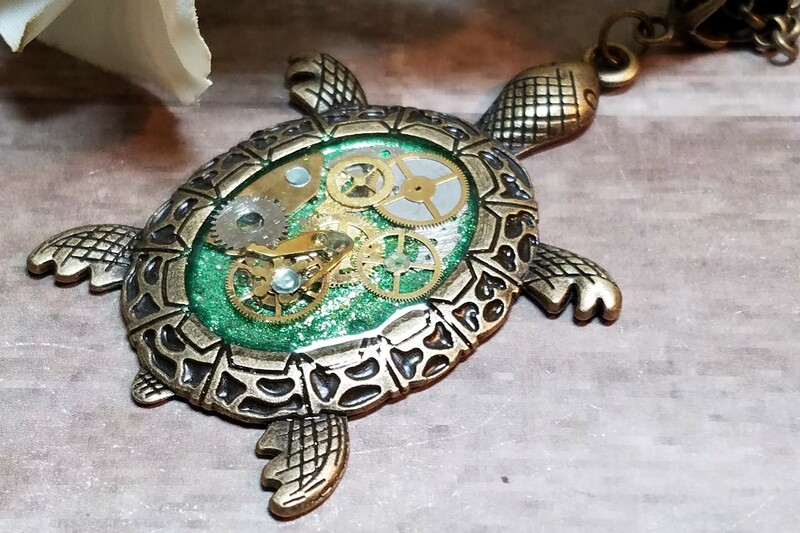 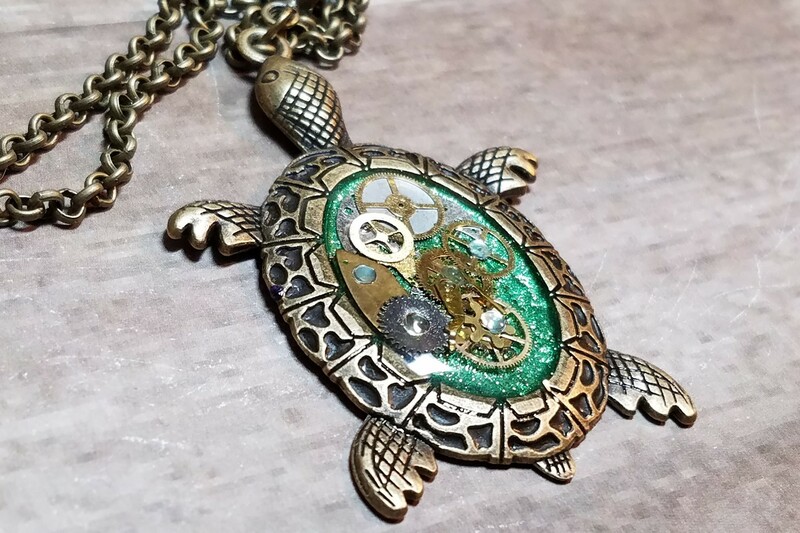 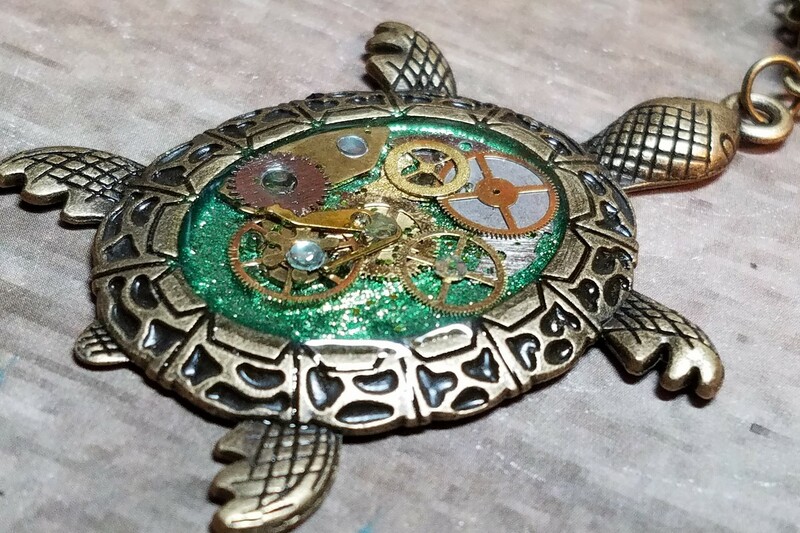 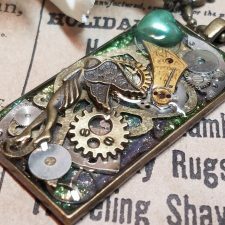 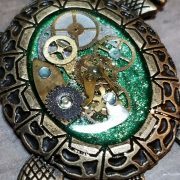 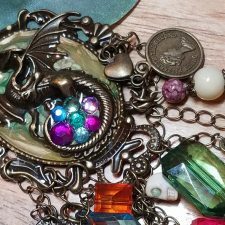 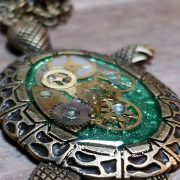 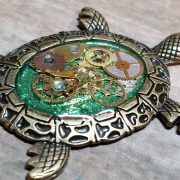 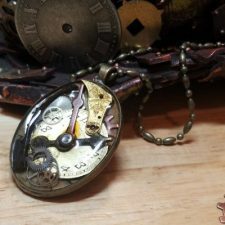 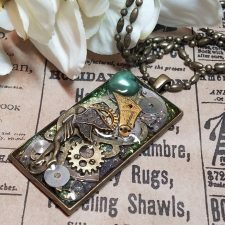 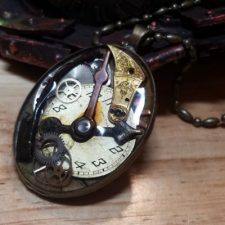 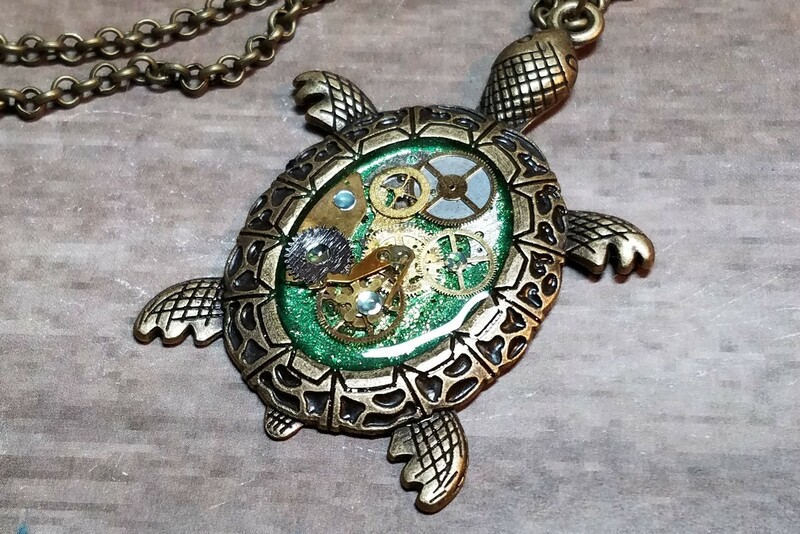 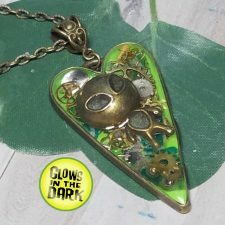 Green paint with bronze watch parts come together to create this beautiful Green Steampunk Turtle Necklace. 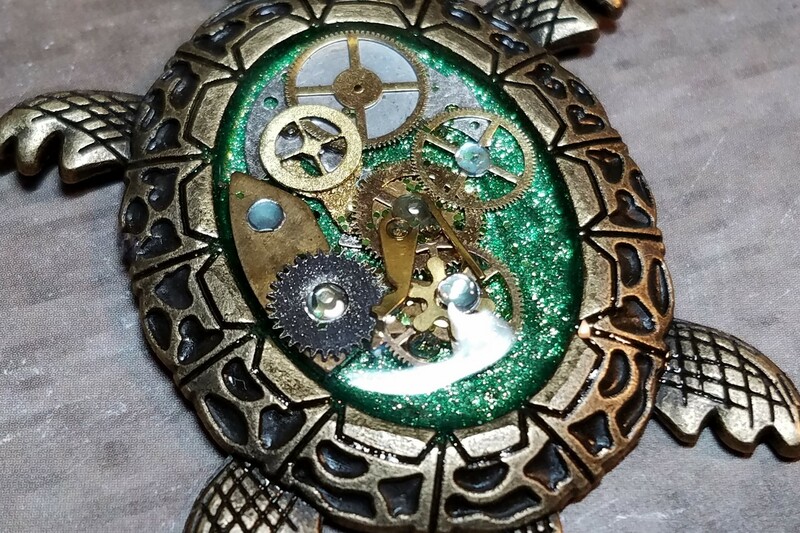 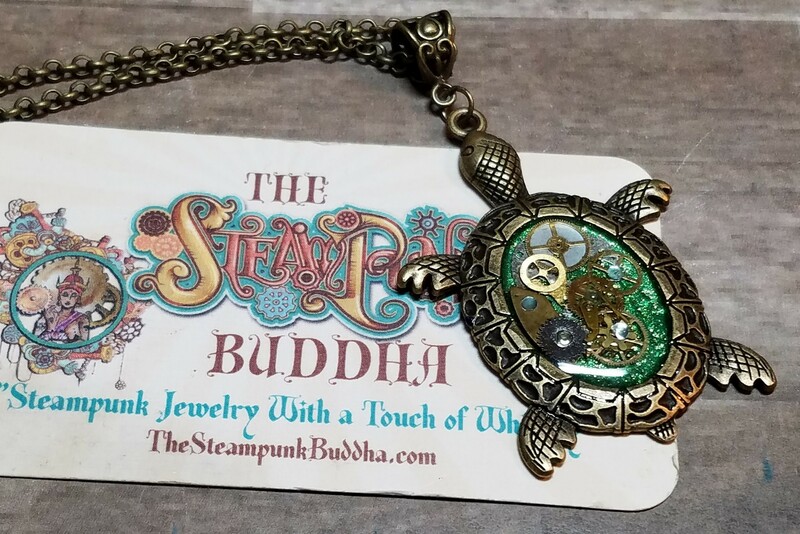 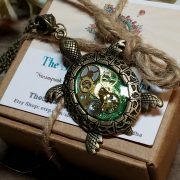 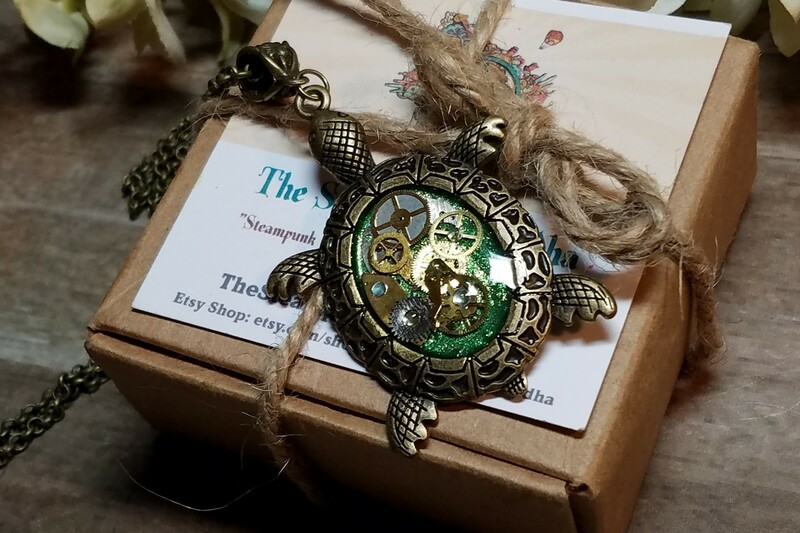 This steampunk turtle pendant is a great gift for anyone who likes turtles or steampunk style. 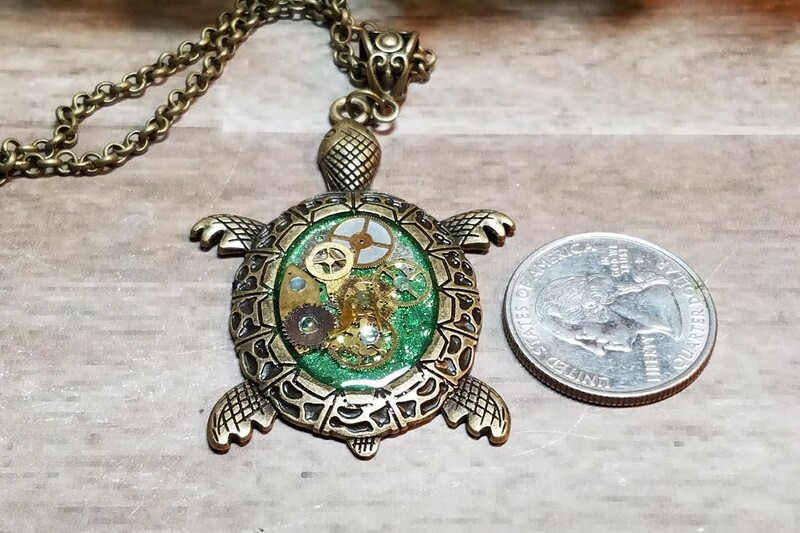 Unique in style, this green and bronze steampunk turtle necklace will look great with any outfit, including a steampunk cosplay outfit. 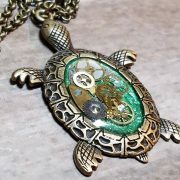 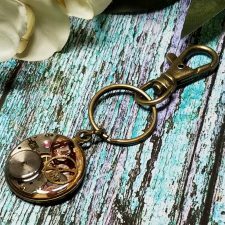 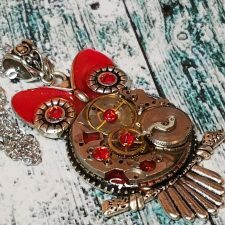 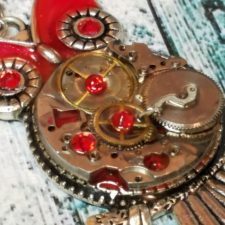 Turtle lovers and steampunk lovers alike will love this one of a kind steampunk turtle necklace. 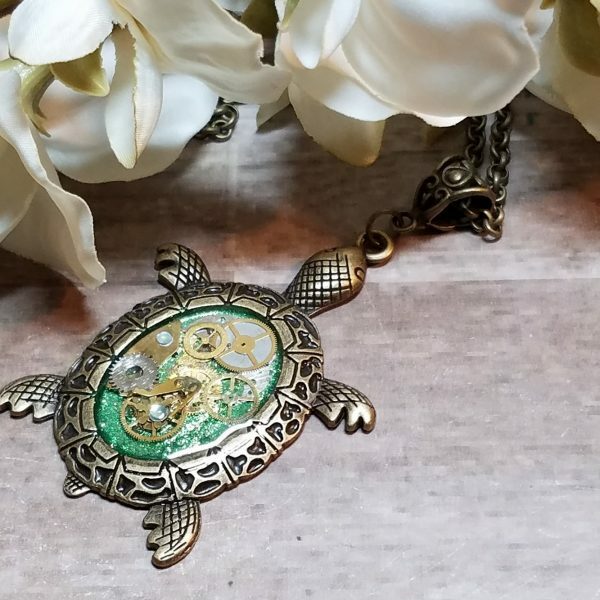 Add this steampunk turtle necklace to your boho wedding for the perfect finishing touch. 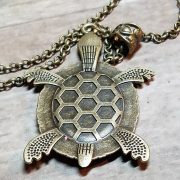 This is a fancy cast setting with an antique bronze finish of a turtle. 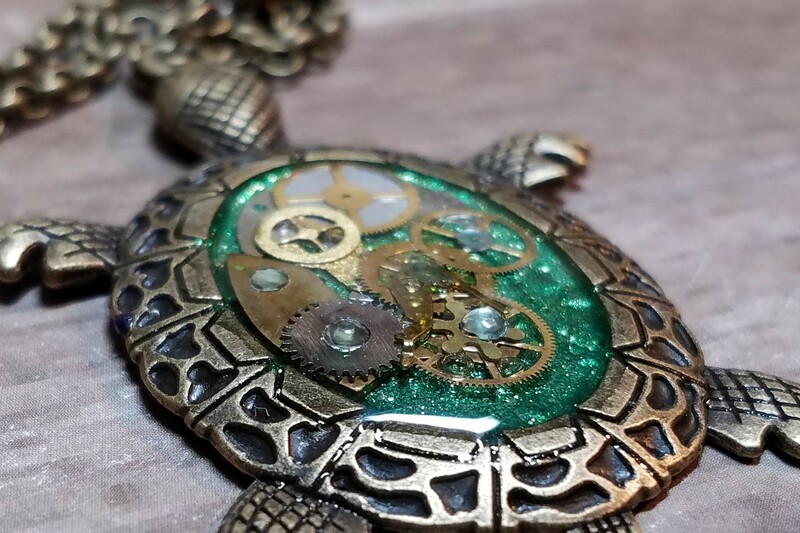 It is approximately 2 1/2 inches by 1 1/2 inches, and the art covered in epoxy resin. 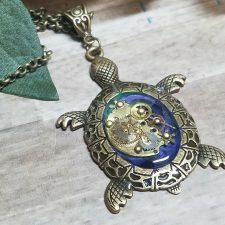 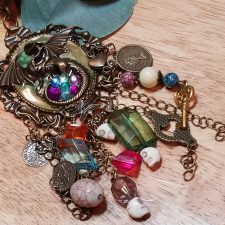 The design is created using a painting technique with specialty paints which creates the unique look you see in the setting, which makes each pendant a one of a kind piece. 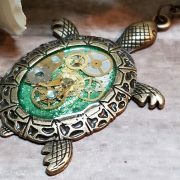 Paint is covered with epoxy resin. 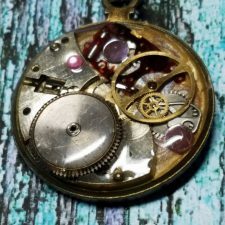 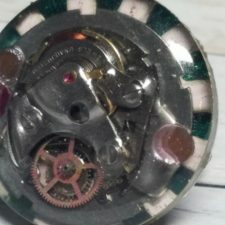 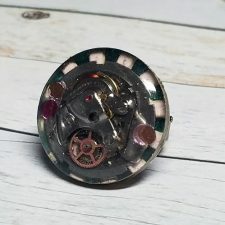 Watch parts and gears embedded inside with resin that is hardened. 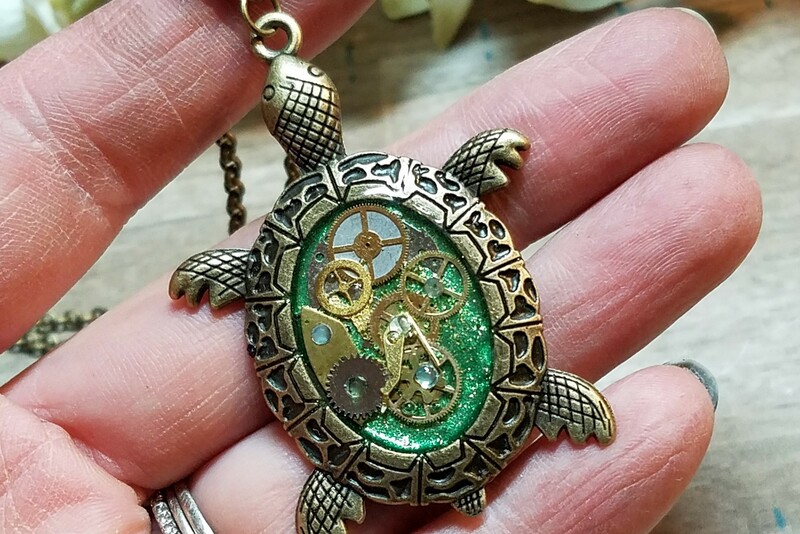 The necklace has a sparkly green painted background. 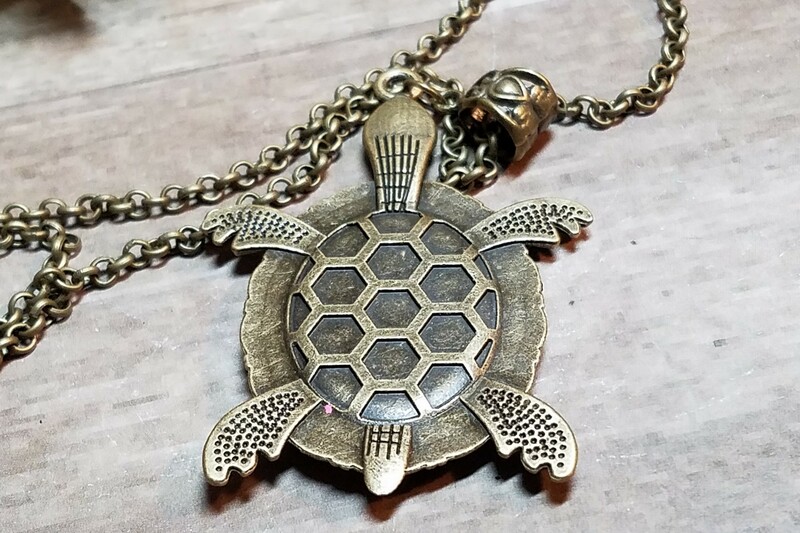 26-inch bronze ROLO chain necklace included.